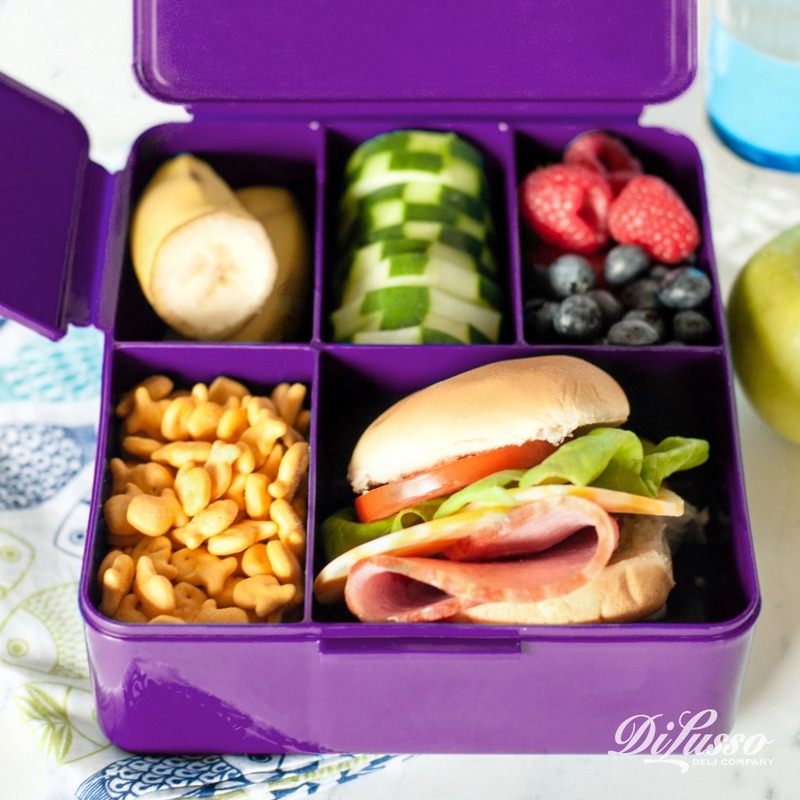 These school lunch ideas will have your kids smiling, giggling and even fist pumping when they open their lunchboxes. Classmates will start knocking elbows in an effort to get a good look at these fist pump-worthy lunches. They’ll start calculating the value of their own meals, furrowing their brows in concentration as they try to determine what they can trade to get a taste of these fun and flavorful lunches. But it’s not all just fun and games. 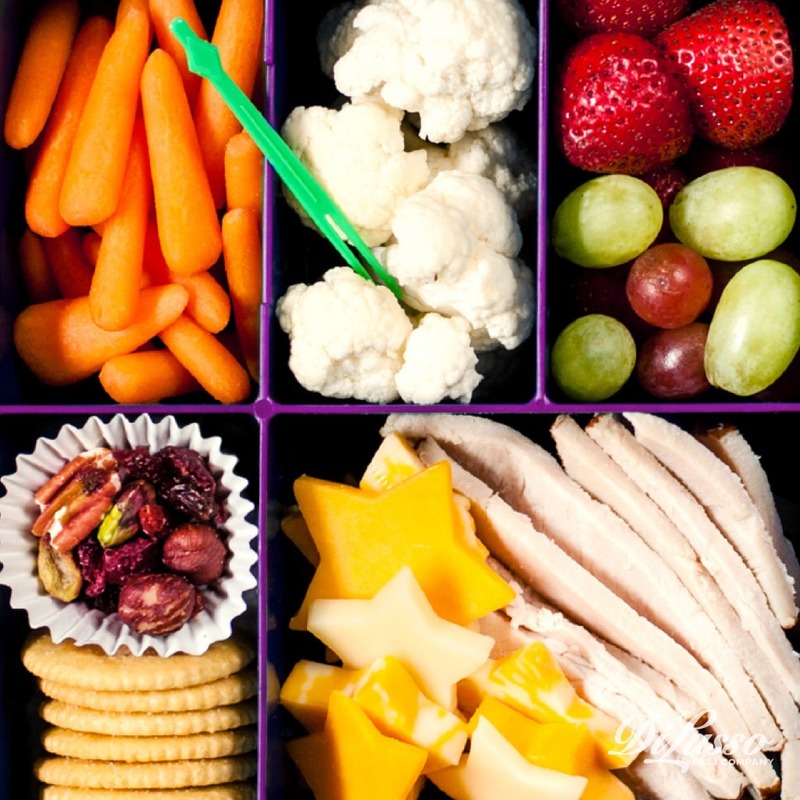 These meal ideas are nutritious so your little learners have the brainpower to finish out the day. They’ll also make your life simpler by taking advantage of leftovers and using tools you probably have in your kitchen right now. Like a pen and paper. 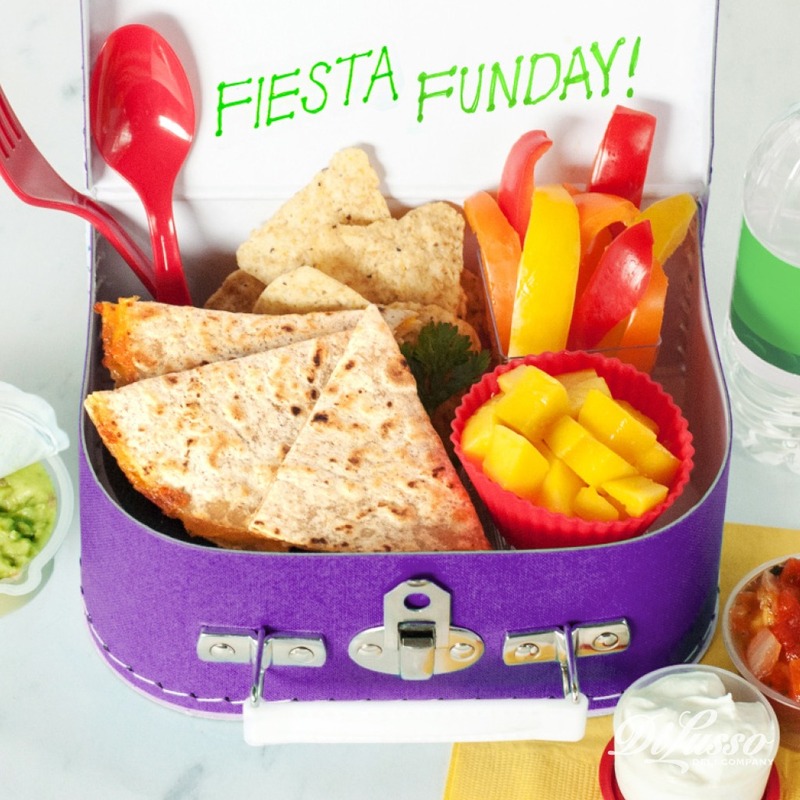 A pen and paper is all you need to add a cheerful note to any lunchbox. You can also use permanent marker to write on other items you’ll likely be putting in lunches like juice boxes, banana peels, napkins and plastic baggies. 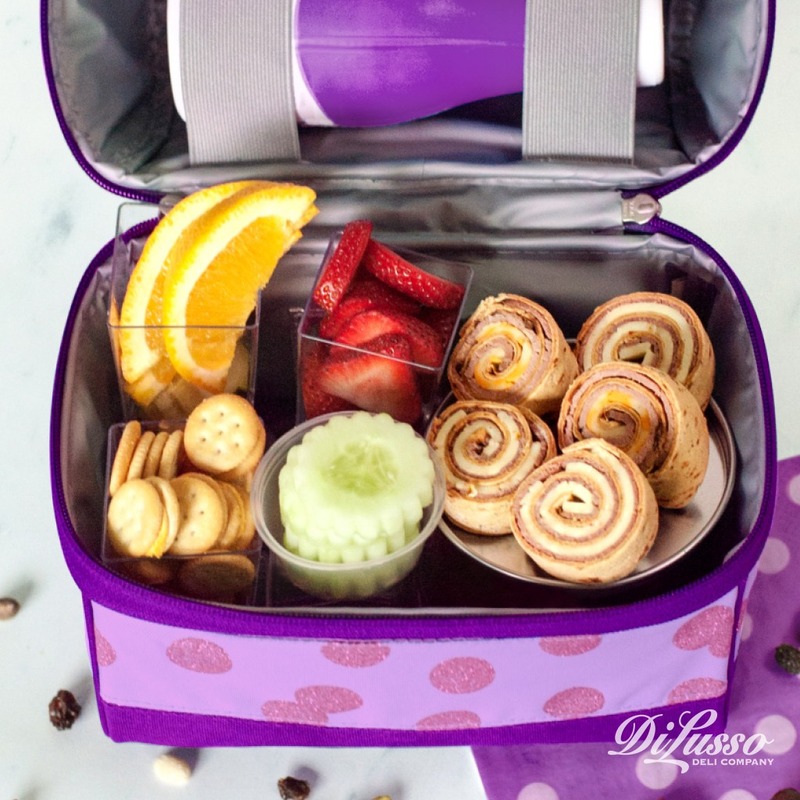 So on that note, let’s delve into some more lunchbox ideas. Surprise your kids with breakfast for lunch. Because breakfast is just as delicious when served at noon. 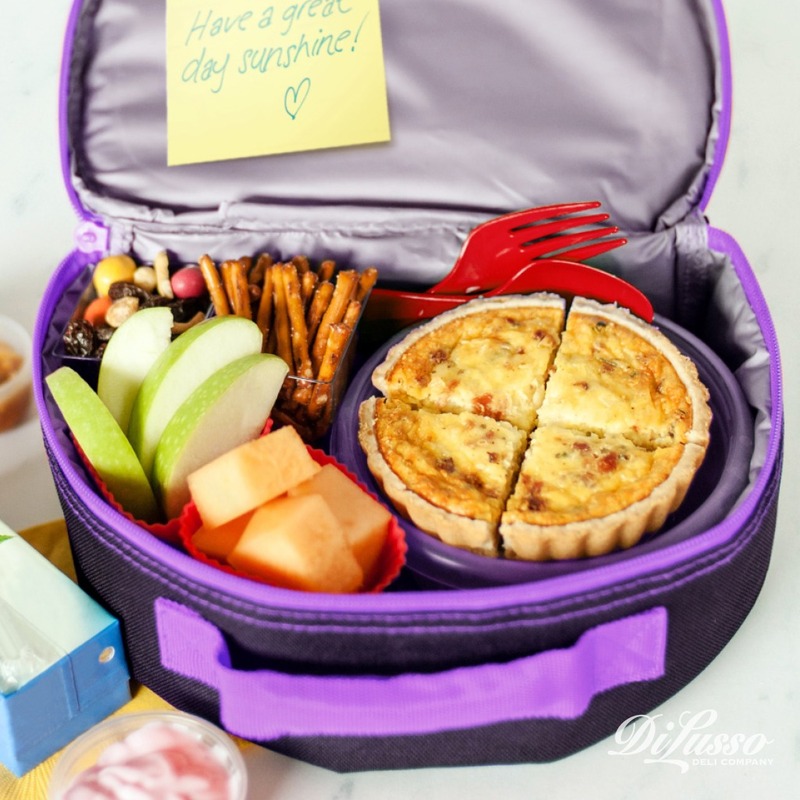 You could even use leftovers from weekend brunch, like these Mini Ham & Cheese Quiches that are filled with protein to help keep your kids powered up for the afternoon. Bagels with cream cheese and silver dollar pancakes are also tasty ideas. Match your meal of choice with other a.m. favorites like yogurt with granola (cereal also works well if you’re short on granola) and mandarin oranges. You could even slide in a box of orange juice. Catch their attention with eye-popping patterns. Simply slice wraps into 1 inch-thick rounds to create a spiraled, swirly entrée. All of a sudden, wraps are a lot more fun to eat! In fact, they might be so mesmerizing that your kids won’t even notice the lettuce leaf tucked inside. Even better for you, they’re very versatile. You can use any kind of meat, cheese, veggies and condiments to create a fun wrap that has all of your kids’ favorite ingredients. For a simple gluten-free version, nix the wrap and use cream cheese to hold the ingredients together like we did with these Roast Beef Rollups. Make lunch more interactive. 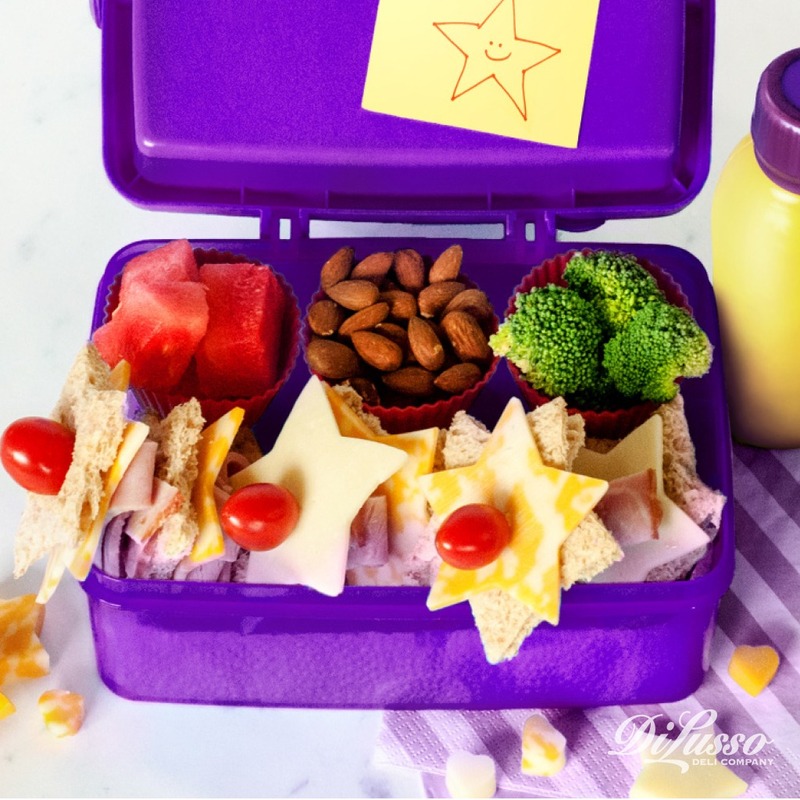 Fill your kids’ lunch boxes with an assortment of cheese, meat, crackers and sauces so they can do the stacking. You could swap out crackers for small baguette slices or mini bagels. Or a few of each! There’s no guessing what sort of concoction they’ll come up with. This is a great way to use up those random pieces of meat and cheese that tend to accumulate in the refrigerator. That one piece of salami, those two slices of Colby Jack. Add in some fruit and vegetables to round it all out. Pick a theme, any theme. Then play it out. Having trouble nailing down an idea? Let dinner plans be your guide. If you’re making quesadillas one night, make a couple of extras. Slice them into small triangles and put them into lunchboxes the next day. Follow it up with tortilla chips and dip (cheese sauce, salsa and guacamole are all good options) as well as some leftover beans and rice. If you’re kids are avocado fans, include a few slices. Don’t forget to add a serving of fruit! Sometimes there just aren’t any suitable leftovers, you’re limited on ingredients and time is short. So the only realistic option is a sandwich. That’s A-OK. You can still up the fun factor by serving it in a new way. Make your kids’ favorite sandwich as usual. Then slice it up into small squares. Slide them on sticks and voila, it’s like a whole new meal. Make it a well-rounded meal by adding a dried fruit and nut mix, and some carrots with ranch dressing on the side. Small plastic containers and rubber muffin cups are great for holding sauces and dips.